Yesterday, I had one of those odd moments. If you’re old enough to have had one, you’ll understand. I had purchased a new package of clothespins, torn it open and dumped the contents into the clothespin bag. Later, I noticed the empty plastic wrapper on the kitchen counter and snatched it up. On my way to the trash can, I took note of the print on the back of the package. “Suggested Uses”, it read. That phrase, “suggested uses” was vertically sandwiched neatly between the brand logo and a…list. I did NOT bother to read further. I know already that people use clothespins to hold pillaged bags of potato chips closed. I’ve used them for crafts myself. I bought the clothespins to hang laundry that I didn’t want to put in the dryer. 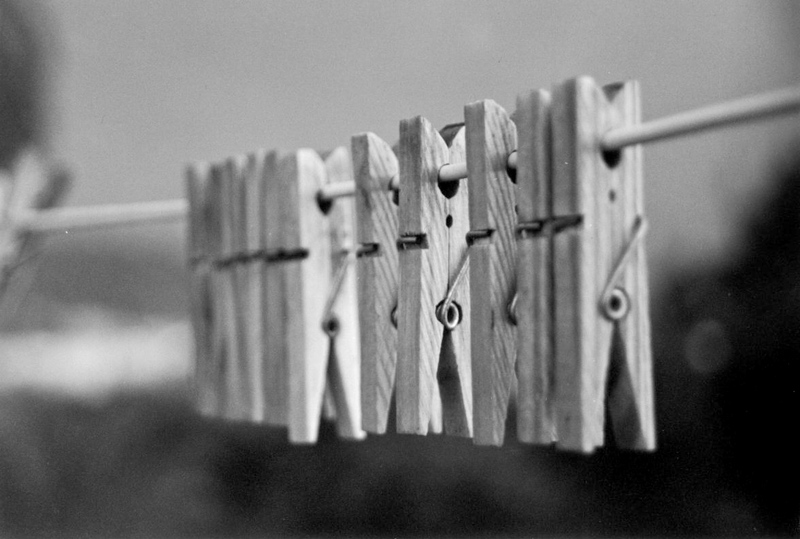 Have we really come to the place where there are enough consumers out there who don’t know what clothespins are FOR? Has modern convenience driven the economy and infiltrated the Protestant work ethic to the point that clothespin manufacturers, fearing the certain obsolescence of their product, must offer a list of “suggested uses”? Will the day come when we won’t even find clothespins in the stores because there is no longer a demand for them? Maybe I should have saved the wrapper! The “odd moment” in what we call “time”—for my body and that plastic wrapper—passed quickly, going out…-not with a whimper, but with the bang of the trash can lid. But that “odd moment” left a little impression on my sense of irony that may well be silently permanent. « It’s Time to Make the devil Unhappy! You are totally amazing dear friend! I love reading all your posts and you always entertain. Love the clothespin because I use it for everything as well. Keep up the good work. Your blogs are informational, helpful, and entertaining! Kerry, silly girl, it’s Jesus who is amazing! We are too because of Him! I’m excited about where things are going in the other blog! I have already scheduled the posts for tomorrow and Sunday. I think Sunday will be one where you can just sit and wrap yourself up in Him! Please come back. And please pray for me. Unless He gives me something to say, I simply do not want to write anything! I love you, girlfriend! See you soon!! !